Every time Penn Manor is on the verge of a sure thing in sports, it seems that there’s one school that can crush the morale of the Comets in a single night – their arch rivals Hempfield Black Knights. It’s surely not every time, it just seems like it. For example, a heavily favored Comets football team hosted the Black Knights this season. After maintaining a lead late into the fourth quarter, the Knights stormed back to an overtime victory. The Penn Manor’s girls volleyball team took a 2-1 lead over Hempfield. Yet again, the Knights stormed back to a 3-2 victory. This trend dates back for years. 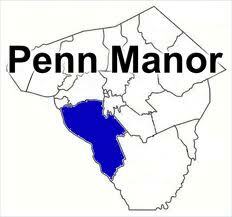 In 2005, Penn Manor boys volleyball team defeated Hempfield twice earlier in the season. Then in the state quarterfinals, the Black Knights came out on top. Is it magic dust or something a little more tangible? 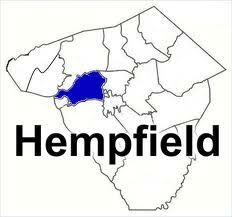 In the eyes of some Penn Manor athletes, Hempfield is an eternal enemy. But does that rivalry mess with Comet athletes’ heads? “Hempfield is not very likable, we don’t get along,” said senior varsity golfer and volleyball player Dayonte Dixon. When the two teams meet, a competitive game always seems to occur. But pure talent does not always dictate the out come of the game. Some coaches agree with Dixon. “Hempfield has a lot of confidence, and some of our kids think that they can’t compete,” said lacrosse coach Erick Dutchess. There may be another reason why Penn Manor struggles against Hempfield. The idea of how this affects athletic teams is simple, if you have more kids then you’ll have more athletes. More athletes will lead to more competitive sports teams. On the other hand, Hempfield is the opposite. The Comets may even be destined to fail at birth. All of these factors could affect the outcomes, but there is one key factor. There are many hard working, and productive student athletes at both schools, but sometimes Penn Manor student athletes become lazy. “We have practices where people are just joking around,” said Dixon. “There are definitely some kids that are lazy,” said Zajac. For Penn Manor, the weight room is what makes up for all these disadvantages. “The best way to get better is to lift more and get more dedicated,” said coach Zajac. Zajack conditions with many teams when they are in season. In the fall he works with Football, Girls volleyball, Boys Soccer, and Field Hockey. He works with Boys and Girls Basketball in the winter, then Baseball, Boys Volleyball, Boys lacrosse, Girls lacrosse, Girls soccer, and Track and Field in the spring. Injury prevention is the reason for in-season workouts. Although the faces and names of players will change, one thing will always remain the same. “They’re always the teams (Penn Manor) kids want to beat,” said Staub. One thing I will say- Penn Manor didn’t have to be reprimanded by their superintendent because of poor sportsmanship. And that, Penn Manor, is much better than winning any game.